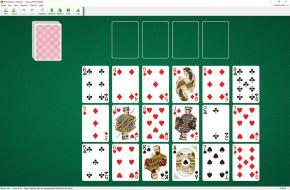 Vague Solitaire uses one deck (52 cards). You have 4 foundation piles and 18 tableau piles below the foundations. Each tableau pile may contain only one card. 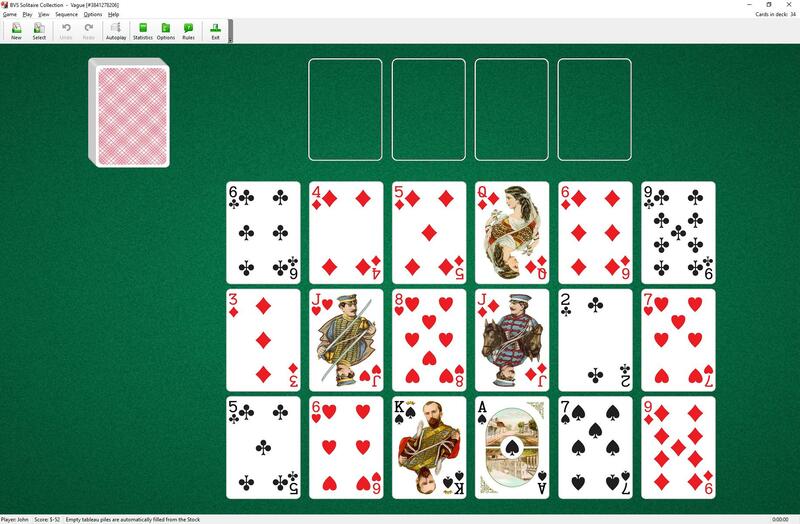 All cards are available to play. When one of the tableaus is empty it is filled up with a card from the stock. The first card played to any foundation pile determines the starter card and suit for this foundation. You should define four starter cards of different suits. To build the foundations up in suit, wrapping from King to Ace as necessary, until each foundation pile contains 13 cards.